Guys Lit Wire: The Last Wild by Piers Torday Plus Bonus Interview Questions with the Author! With the help of his varmint friends, Kester escapes the confines of his prison, only to learn that he has been chosen by the few remaining animals, the “last wild,” to save them from complete extinction. While on his adventure Kester starts to unravel the lies surrounding the deadly red-eye disease, the disappearance of the animals and his estrangement from his family. Torday regularly switches between grim, heart-pounding and funny scenes, all of which flow seamlessly around Kester and his mission to discover the truth. 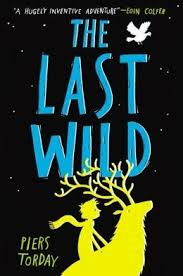 The Last Wild is a highly entertaining and thought-provoking novel, one that shouldn’t be missed. I recommend it to ages 8 and up. Guys Lit Wire: The Last Wild opens with a bleak premise - the world has been ravaged by global warming and disease is killing off all of the animals. How does this reflect your own views on the future of the planet and its inhabitants? 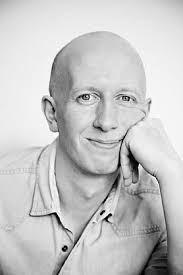 Piers Torday: I hope it’s not too bleak, because in a way, I was simply trying to write an extreme version of the world we actually live in and ask questions about our direction of travel. There’s a growing body of scientific opinion which argues we are now living in the “Anthropocene” age, an age in which for the first time one species alone is globally dominant in every habitat, responsible for dramatic climate change and flora/fauna extinction. And that species is the human. But that’s only one opinion, not undisputed fact. My personal view is that it is essentially in our DNA - without restriction - to multiply, to develop land, to eat other animals and plants, to consume natural resources, and we and the rest of the planet are paying the price for that. But unlike other species, it is also in our DNA to be curious and self-aware about our actions and our effect on the world around us. The question I want to ask with the THE LAST WILD books is this - what will triumph in the end? Human selfishness and greed? Or will the plight of other species and the planet eventually one day become so catastrophic that we will change the way we live, and harness our powers of invention and resourcefulness to usher in a new age for scientists to categorise - an age of intraspecies planetary harmony. GLW: Kester Jaynes is a unique name for a character – how important are names to you when you are writing a novel and if you don’t mind, where did you ‘find’ the name ‘Kester Jaynes’? PT: Names are hugely important to me, and I spend a lot of time on them. All the names in the book are chosen carefully and have some kind of double meaning, which may be private to me or may be discernible to others. They need that layered meaning to seem truthful to me as characters. I begin by researching other names given either to similar characters in fiction or their counterparts in real life, how many syllables they tend to have, do they sound old or modern, do they sound authentic for their age, occupation and location and so on. The surname Jaynes is a corruption - like many names in the book - of a Latin name, of the god Janus. Janus was known as the “Two-Faced” God, not because he was untrustworthy, but because he looked forward to the future and back to the past at the same time, a god of transition. Kester Jaynes looks out into nature, and connects with animals in a way only he can, but also looks back into humanity and views us from an animal’s perspective, and so is “two-faced” in that particular way. GLW: I can think of several villains in The Last Wild – environmental destruction, disease, fear, even loneliness. What is your favourite Monster / Villain from literature? PT: I’m glad you have identified those as the main villains! There are so many great monsters and villains in literature, it’s hard to know where to begin. Wackford Squeers, the brutal and vicious headmaster of Dotheboy’s Hall in Dickens’ "Nicholas Nickleby" is a gruesome favourite, and inspiration for Dr. Fredericks of Spectrum Hall. (It might amuse you to know that I was once in a school production of the play based on the book, in a scene with Wackford Squeers - who was played by Damian “Homeland” Lewis.. ) I’ve also always been fascinated by The Child Catcher, the super creepy character Roald Dahl invented for the musical film of Ian Fleming’s book “Chitty Chitty Bang Bang”. The film overall is fun rather than scary, but he gave me nightmares when I was younger, and inspired Captain Skuldiss. But the ultimate literary villain, who has inspired many other great fictional villains, has to be Iago from “Othello” - because he never explains his vile actions. GLW: Is there a book out there that you wish you had written? PT: You bet! So many. Although, it would be more accurate to say, a book that I wish I was capable of writing. I tend to overwrite and overplot, so I love short and simple but incredibly satisfying books. For children, “Emil and the Detectives”, and for adults, George Orwell’s “Animal Farm” is such a masterpiece. It was the initial inspiration for “The Last Wild” - but as you can see, I went in a *very* different direction with my talking animals…. GLW: Finally, If you were an animal in a zoo, what would you be? PT: A tiger. Because when people came too close and crowded and stared and pointed and shouted and threw scraps of food at me, I could pad up close to the bars and suddenly SCARE THEM WITH AN INCREDIBLE ROAR!